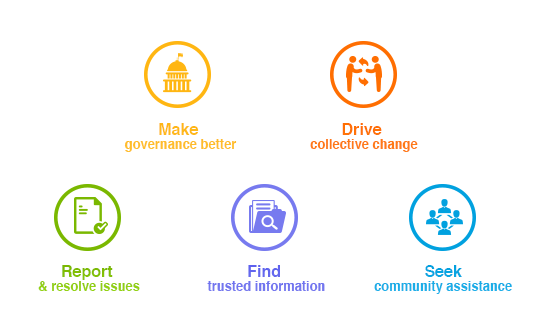 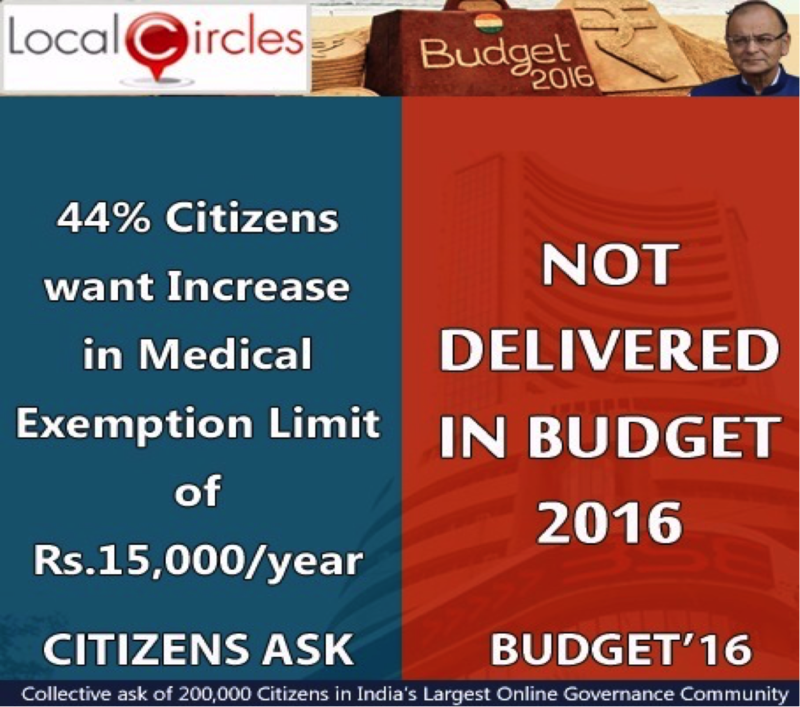 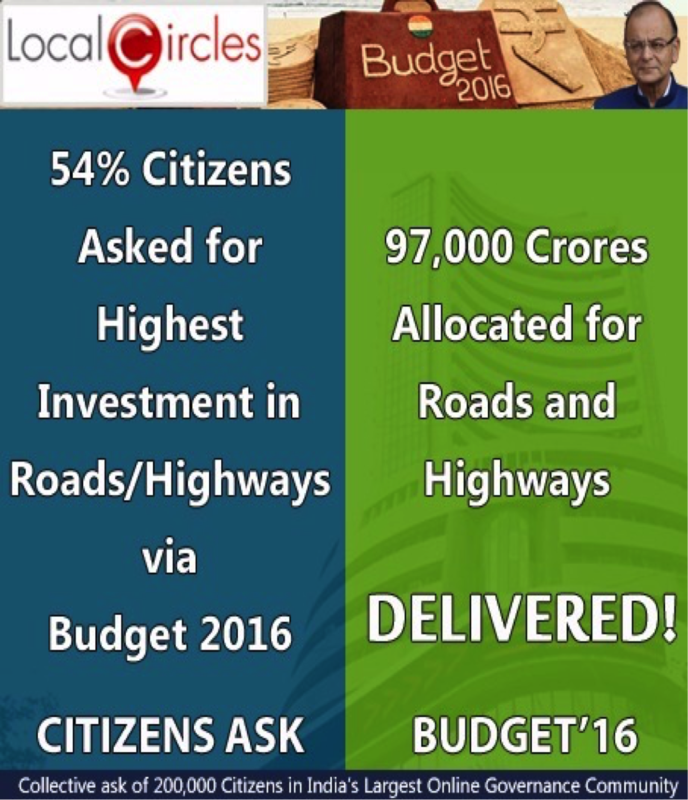 LocalCircles (www.localcircles.com), India’s largest citizen engagement platform today announced that the Government of India effectively utilized collective citizen inputs from 200,000 citizens on Budget 2016 in determining the strategy and priority areas for Budget 2016. 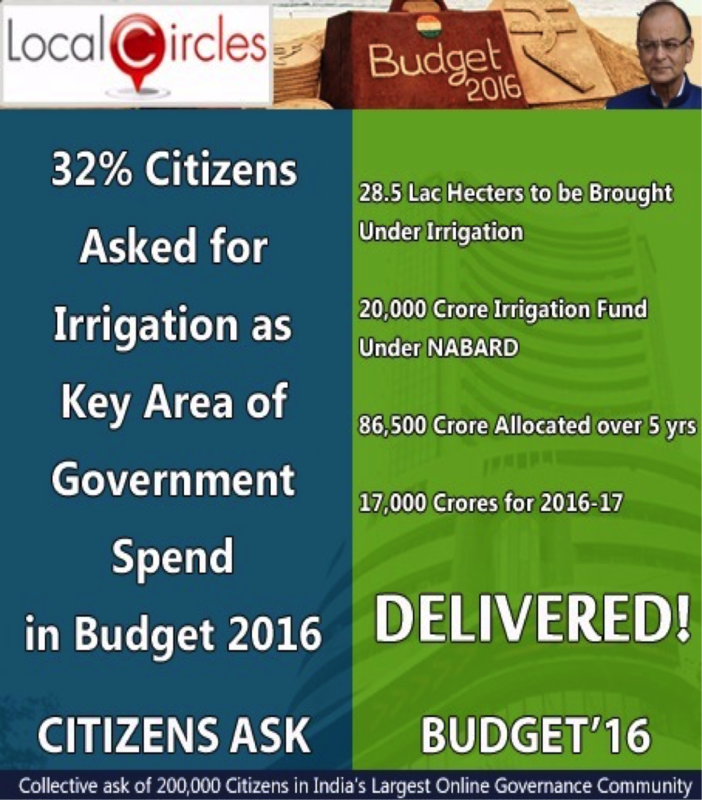 In a series of polls that were conducted by LocalCircles ahead of the budget, over 200,000 citizens participated in the budget prioritization exercise from over 300 cities and over 100,000 unique votes were received on the various budget questions. 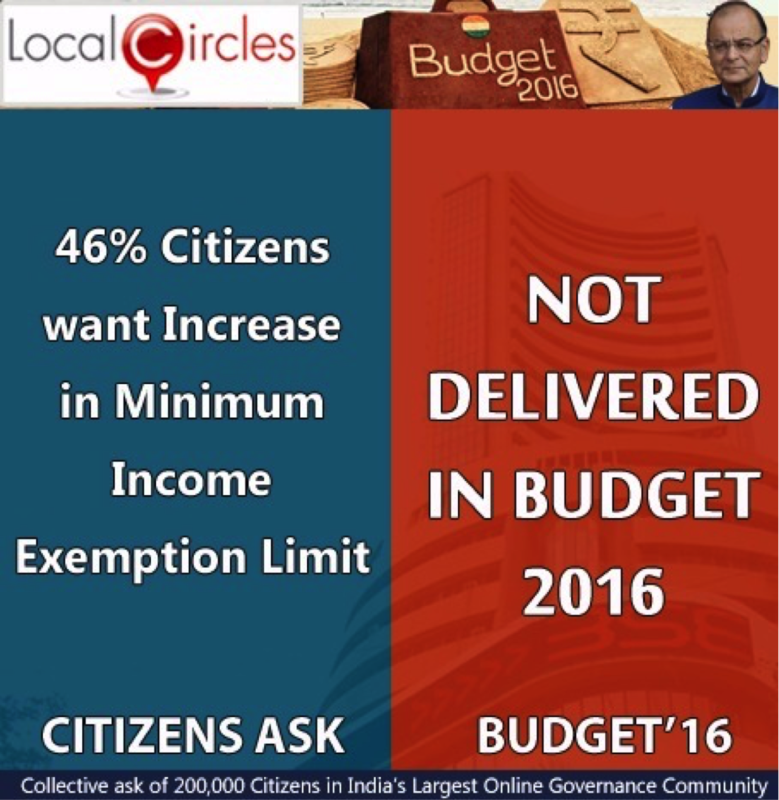 While inputs were effectively utilized in the area of Budget Strategy and Focus, citizen demands on Income Tax exemptions were not met. 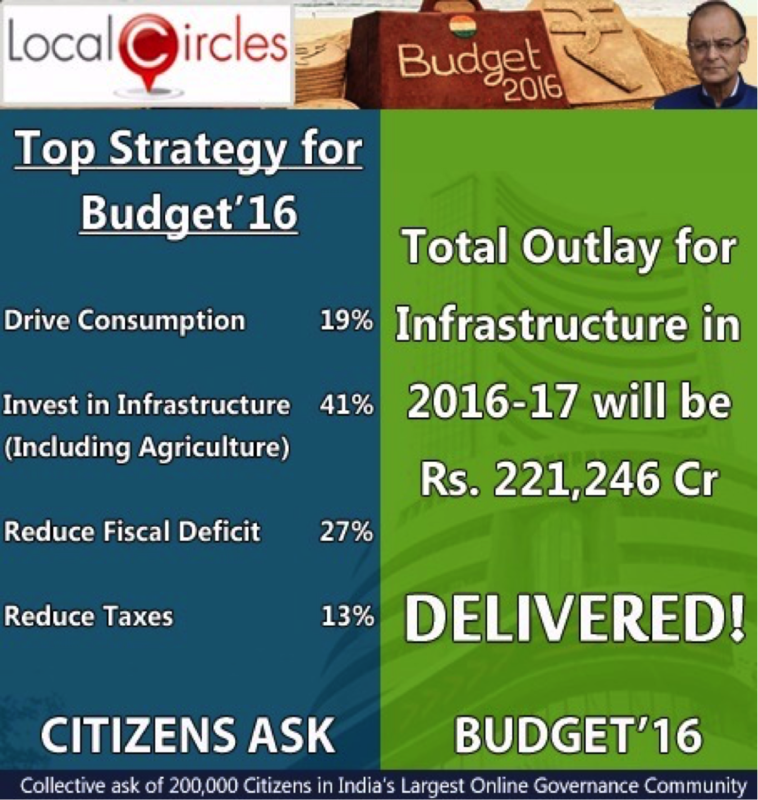 Below is a summary of the key collective asks that did not find place In Budget 2016.